Teaching kids to code at a young age helps children solve everyday problems, and is crucial to their education. With cars being able to drive themselves already, and kids having so many toys orientated towards electronic gaming it is almost impossible to avoid it. Freddie from the age of 4 could work his way round an Ipad far better than I could. So the world has clearly changed drastically from when I was this age, over 30 years ago. The word programming still terrifies me and makes me think of computer nerds who don’t leave their bedroom. But as everything we use these days involves some sort of coding it is absolutely vital that kids can understand it. If you are homeschooling like us check out over 70 free or cheap online resources to help. We then came across Osmo, a fun coding for kids game. 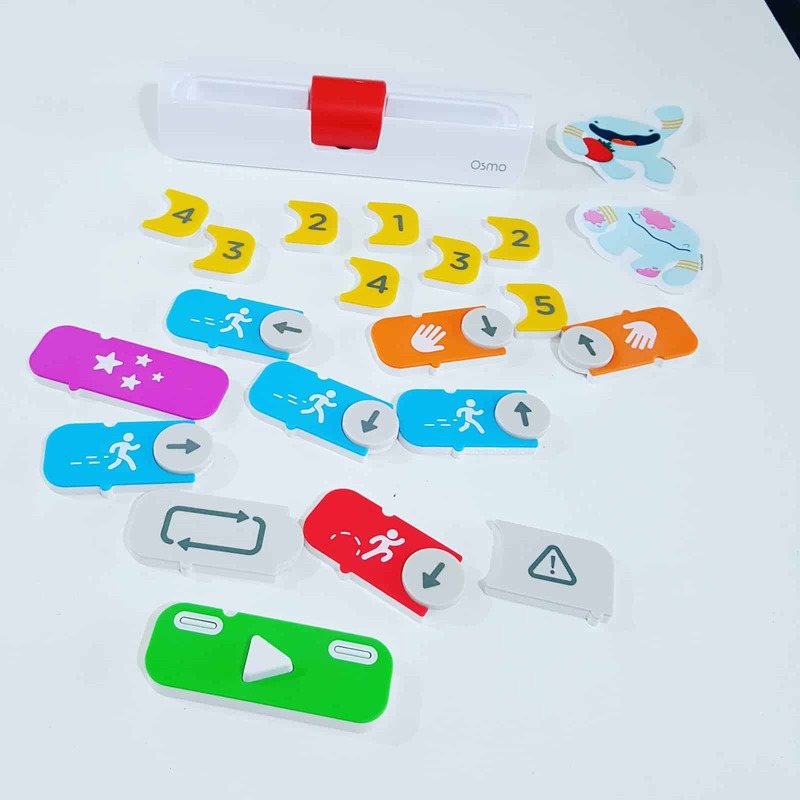 Osmo was founded back in 2013 by Pramod Sharma and Jerome Scholler, who set out to create “something awesome that inspires the youngest generation,” while at the same time addressing a concern of many parents about how to have their children interact with technology without losing the value of hands-on play. Teaching kids to code will certainly overcome the fear of technology. We were kindly sent the Coding for kids Awbie game with the base (this is needed to play the games). 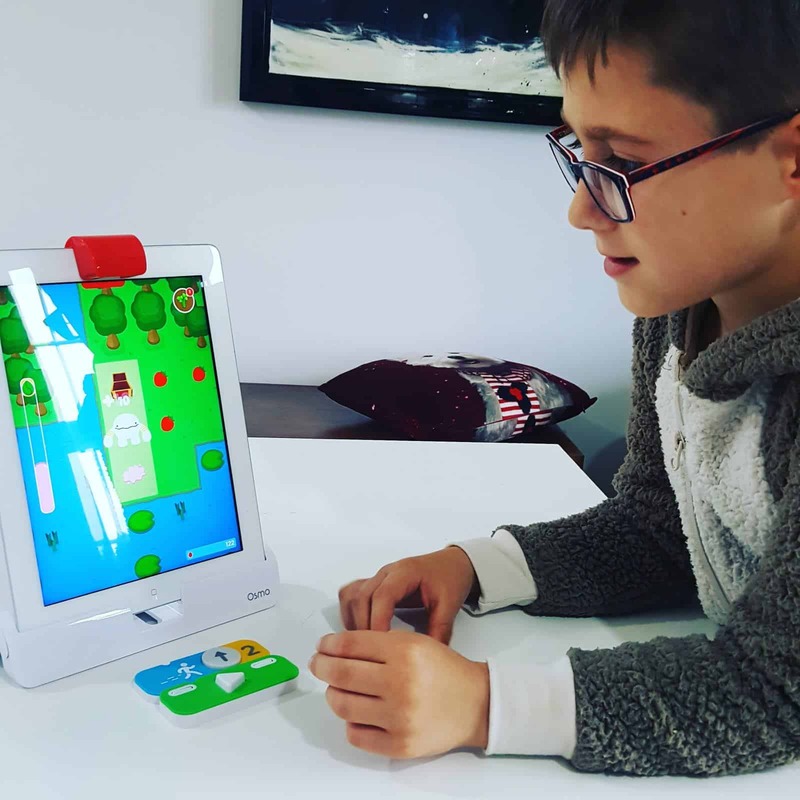 Coding Awbie teaches logic skills and problem solving. It also helps kids succeed in an increasingly digital world. Coding Awbie is the easiest way to teach your kids to code. It is aimed at children aged between 5 and 12 years old, and can only be played on an Ipad or Iphone. The kids coding language used is Awbie. Where you can jump, walk, repeat, hand, and play so it is a super easy starting position. Teaching kids to code in 2018 is so important, and is now part of the school curriculum. In the box there are 8 number blocks, and 11 coding blocks. These are all incredibly well made and are magnetic and very colourful (perfect for kids). The arrows can also change direction just by gently turning them in the direction you would like them to go. The Osmo base can either fit an Iphone or an IPad by easily changing the base around. There are details showing how to do this. The red connection on the base is a clever mirror that sits on top of your IPad so it can read the coding you have done. The above picture for example is telling Awbie to move up 2 spaces to get to the chest. It only took a couple of goes for Freddie to understand what needed to be done. At the beginning there is lots of help and shows you what coding blocks to use. 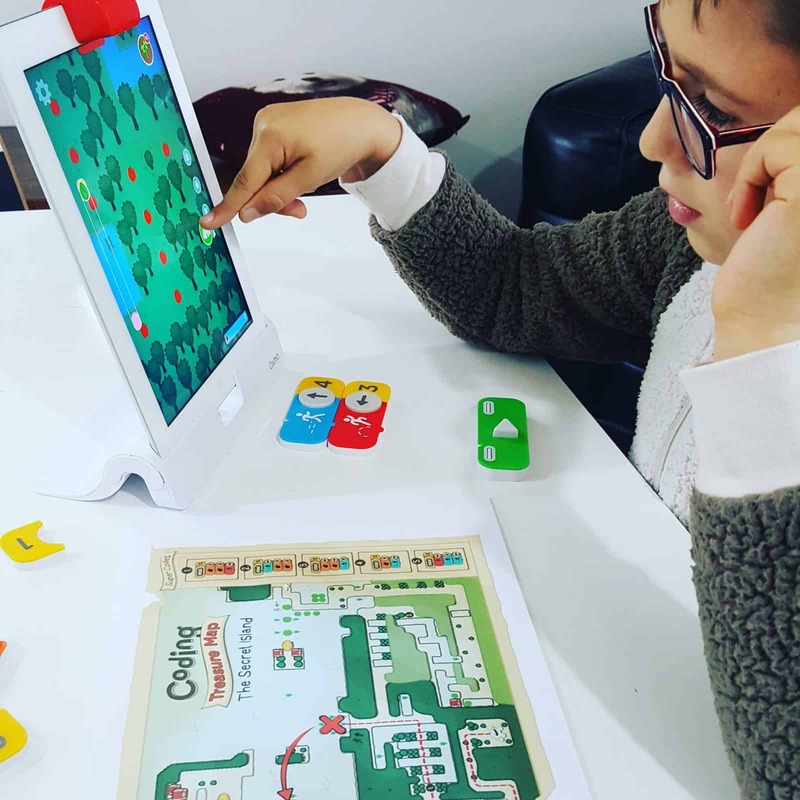 Teaching kids how to code is so important and Osmo Coding with Awbie is a great introduction for kids. Freddie had nearly completed level 4 when I had an email. This showed me a treasure map to a secret island on level 5 where you could collect more strawberries, pies and chests. The level could have been completed without this map though. But when Freddie saw his score after this round he was most impressed. This is an absolutely brilliant game and Freddie had no idea he was actually learning, which is always a bonus! I cannot recommend this highly enough it is fabulous. As soon as Freddie has completed this coding game we will definitely be ordering different ones. There is a creative kit, genius kit, coding jam, a pizza game, a numbers and words game plus lots more. 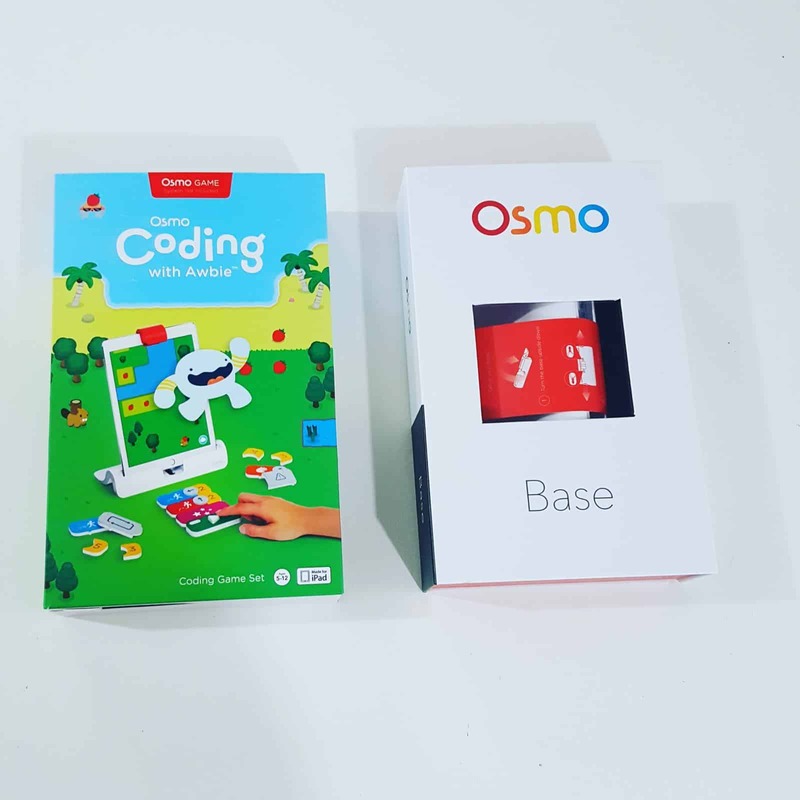 We have also reviewed the Osmo Coding Jam.